M-U-S-I-C : "The Way to Reach Divinity"
Playing for Change has brought forward another amazing musical performance, this time a three-minute video featuring Rajhesh Vaidhya, a musician living in southern India. Rajhesh is a master of the veena, a large stringed instrument of the sitar family. When he plays, his music is a delight to the ears, and the tremendous skill of his strong, nimble fingers, not to mention his obvious joy in music-making, is a delight to the eyes. 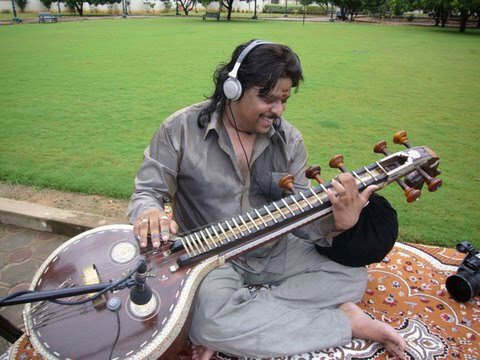 Rajhesh Vaidhya is a renowned musician in India, but now his reputation has spread to musical stages in Europe, Brazil, South Africa, Australia, Singapore, Malaysia, Canada and the United States, among other places. He is one of the most intriguing and technically beguiling artists within the veena instrumental tradition and the larger south Indian musical tradition. He is known for the blistering speed at which he can play, as well as his creative use of electric and amplified strings. "Music," Rajhesh asserts, is "the way to reach divinity." He uses the word music as an acronym for the essential elements of human life: "M stands for morality. U stands for universality. S stands for spirituality. I stands for individuality. C stands for creativity. MUSIC!" MUSIC indeed. Ready to practice, anyone? If for some reason you can't see the viewer above, please click here to watch the video. Joanna Macy www.joannamacy.net was being interviewed this morning on NPR. She always seems to come into my consciousness when she's most needed. 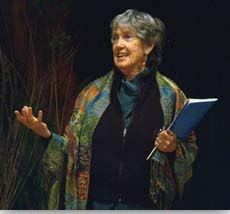 Several years ago, she published some "Spiritual Exercises for Social Activists." As best I remember, it was during resistance to the Vietnam War. Peace people were tiring, becoming discouraged. No matter what we did or how many were mobilized, the war dragged on, seemingly interminable. Joanna wrote about how people needed to breathe in the suffering they saw, in the images and reality of the war. Rather than blocking those images, turning our head or turning off the TV, those images needed to be transported on our breath through our bodies. Those suffering breaths needed to pass through our lungs and hearts, and in doing so, be changed into rich compost that could be breathed back into the great world net. It was an encouragement to keep at it, though the pain and suffering of the war was great and the times discouraging. Her comments reflected similar wisdom this morning. She was responding to a question about the BP oil spill. She said we can't shut out the pain of the planet. If we do, we end up building walls of denial and delusion. We begin believing that all we need is more oversight, more security, newer technologies, and everything will turn out okay. But the healthy response is to let the pain into our person. 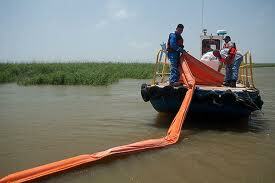 We need to look squarely at the oil slicked herons, the dead fish, the struggling dolphins. But once the pain of the suffering is with us, we can't hold onto it either. We have to let it go. Otherwise, it could break our hearts. In short, Joanna tells us that pain can be faced faithfully, not fearfully. And like so much else in life, when we squarely face the pain, we remove it's power over us. Pain gets transformed into possibility. There's an additional secret in the spiritual exercises. It's about the breath! In the Hebrew Scriptures, in the book of Genesis, God breathes into Adam the "breath of life." It's the sign of the "living." Breath is what "inspires," gives us "inspiration." Breath is exactly what the suffering of the planet requires; it requires our breath! For those who have developed a meditation practice there is an understanding of the importance of the breath. The breath can help us be mindful! The breath can help us be focused! The breath can help us find wisdom! The breath can help us experience and overcome pain, even the pain of a planet and it's people in crisis! In the same issue of the Advocate in which political and religious leadership is criticized for their presence at the new Roxbury mosque, a letter to the editor describes an act of spitting in the face of an anti-Israel protester as Kiddush Hashem, “Sanctifying God’s Name.” The term used for martyrdom, Kiddush Hashem more importantly describes a way of life that brings honor to God’s Name in the context of day-to-day details and interactions. It describes a way of relationship with God and with people. Spit does not sanctify God’s name, however righteous the indignation that propels it. Words well spoken by the same mouth have far greater potential to touch a deeper place than the skin of another’s face. There is ironic juxtaposition between the column criticizing the governor and a rabbi for reaching out to the Muslim community and the letter that would raise spitting in someone’s face to the level of Kiddush Hashem. Each is about a way of response to other people. Each represents an approach that closes off debate and expresses a refusal to engage in the face of deep difference. Engagement does not come through sarcasm and mockery any more than through spitting. At a certain point we have to encounter the other, the other who is us and the other who is our neighbor. The controversy in the Jewish community concerning Jewish-Muslim dialogue, for which the new mosque has been a lightening rod, reflects a fundamental difference in worldview. That difference is expressed practically in whether to build relationships through which concerns can be respectfully aired while lives are enriched, or to seek safety in separation while building a public case against a perceived enemy. 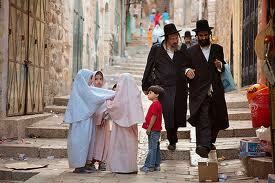 There is critical need for the Jewish and Muslim communities to engage with each other. The controversy in Boston is a microcosm of tensions in the world. The degree to which we engage locally affirms the possibility of global change, of hope or despair for our selves and our children. Refusal to engage with the Muslim community by our communal organizations represents a deepening tragedy, of which we are reminded every time an opportunity for positive contact is missed. A recent case in point: the Center for Jewish-Christian-Muslim-Relations of Merrimack College convened an interfaith gathering at the mosque to announce the recipient of the “Goldziher Prize, named for Ignac Goldziher, a nineteenth century Hungarian Jew who pioneered Islamic studies in Europe. The recipient was Prof. Mark Cohen of Princeton, a rabbi and scholar, author of “Under Crescent and Cross.” A prize named for a nineteenth century Jewish academic, awarded to a contemporary Jewish academic, celebrated at an interfaith gathering chaired by a Christian and held at a mosque. 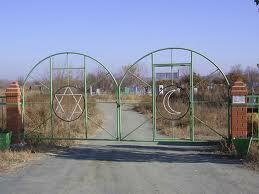 The absence of official Jewish representation was as distressing as it was glaring. Though sad and unfortunate, official dissociation from engagement with the Muslim community has not prevented the flowering of people to people relationships between Jews and Muslims. 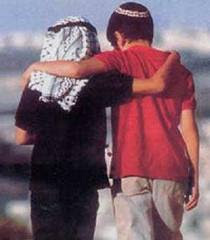 There has been ongoing dialogue between Jewish and Muslim young adults, such as that facilitated by Moishe/Kavod House. The Workmen’s Circle has nurtured a warm inter-communal relationship of learning and sharing, and a number of synagogues are participating in Jewish-Muslim dialogue groups. With others, I helped to create the program “Building Bridges through Learning,” which brings rabbis and imams and Muslim communal workers together to learn each other’s sacred texts. Through these programs and others, rich and rewarding relationships have formed. As trust increases, these relationships include the ability to talk about difficult issues and to ask hard questions. There are facts that come only through engagement, offering over time a lens of human experience through which to evaluate one-dimensional portrayals of the other. During the height of the controversy surrounding the building of the mosque, a Muslim friend who was then outreach director for the Muslim American Society wrote of emerging efforts at dialogue, “There is a natural kinship between Jews and Muslims. Sometimes I feel that family members are getting together after a loooong period of separation. We have so much catching up to do!" I do not believe for a moment that such words represent subterfuge, an effort to subvert through feigned friendship. They are not the words of extremism, or an expression of the exclusivist strain of Wahhabi Islam. They are words of reaching and invitation. As we extend our own hands in kind to our Muslim neighbors, even as we reach out to each other as Jews, so we sanctify God’s name and our own. I’ve been reading, with interest and curiosity, the news and commentary about the microbial clean-up that seems to be happening relative to the oil plume in the Gulf of Mexico. While there is disagreement and controversy about the various studies and their results, they all seem to agree that there are, indeed, microbial organisms on the job, consuming oil beneath the surface of the waters. It seems these microscopic bacteria have actually been fulfilling this purpose for eons and have the ability to ramp up their own internal metabolic machinery to digest oil as efficiently as possible. Were it not for the disastrous seriousness of the spill and its, as yet undetermined, ongoing and long range effects on the environment and food supply in the Gulf, these stories might almost be whimsical - - that nearly invisible microscopic organisms could significantly contribute to the clean-up of one of the worst environmental disasters in this country’s history. I felt hope surge a bit as I thought about this phenomenon in the light of trying to live nonviolently in a violence ridden world but in the same issue of the Globe, on the front page, there is an article about an Ultimate Fighting Championship being approved for an appearance at Boston’s TD Gardens – a new source of state revenues! I am like Alice, having tumbled down the rabbit hole! In this strange reality microbes of the simplest order lend their energies to help clean up the ocean while human beings beat one another to a pulp to the roar of the crowd. So where is the hope? Sometimes I feel like a microbe – attempting to live a nonviolent live in an ocean of violence. 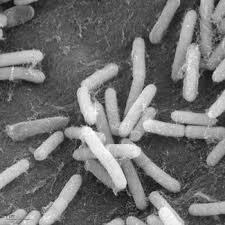 Still, the ancient function of those oil - consuming microbes inspires me. Oil seeps up through the ocean floor naturally. It has been so for thousands of years and these bacteria have been part of the clean up crew – adapting themselves to the work over the centuries. I think this is true as well of the strain of nonviolence that runs in the human species. Just as violence has been a significant part of the human condition since the beginning, so too has its counterpart, working quietly, most often without fanfare, and often invisible beneath the surface of life. Oil spills and Ultimate Fighting Championships are dramatic and shocking and loud and attention-grabbing. They throw me off balance –sometimes shattering my hope for the healing of the planet. And then a story appears on the inside pages of the Globe – microbes at work – and I rebound. The human ability to respond to life with understanding and forgiveness and compassion and reconciliation is alive and well – doing its microbial thing. Victor Borge, the late comedian-pianist, called laughter (of the kind heart) "the shortest distance between two people." Imagine those two people. Perhaps one is old, one young; one liberal, one conservative; one female, one male; one able-bodied, one ill; one Christian, one Muslim; one of this race, one of that.... In laughter, the differences between those two people no longer matter. In laughter, those two people experience a shared humanity. One way that Maz uses humor is to poke fun at all sorts of cultural stereotypes. He doesn't do so lightly. He knows the pain of being pigeonholed. Born in Tehran, Iran, he came with his family to the U.S. at the age of six and grew up in northern California. “My ethnicity didn’t faze me until I got to Hollywood, where they were like, ‘Hold this gun, take these people hostage,’” Maz says. “I don’t know how many terrorists there are in the world, but I’m guessing it’s .000001 percent of the Muslim and Middle Eastern population. But in nine out of 10 films, those are the roles we’re playing.” Early in his acting career, Maz admits, he took terrorist parts in order to pay the bills. He felt "awful" doing those roles and worried that his work was contributing to hostile attitudes toward Muslims. Now he tries to avoid such parts altogether and through humor relentlessly dares Hollywood to move beyond stereotypical representations of Muslims and Middle Easterners. A few years ago Maz joined Palestinian-American comic Aron Kader and Egyptian-American comic Ahmed Ahmed in The Axis of Evil stand-up comedy tour. The tour took its name from President George W. Bush's designation of Iraq, Iran and North Korea as the “Axis of Evil”. The three comics sought to bridge the post-9/11 gap between Muslims and non-Muslims, between East and West, through the power of humor. Traveling first through the U.S. and then five Middle Eastern countries, they sold out 27 shows in Dubai, Beirut, Cairo, Kuwait and Amman, telling jokes about anything and everything, "from politics to dating to deer." In the clip below from Ted.com Maz riffs on the challenges and conflicts of being Iranian-American--"like, part of me thinks I should have a nuclear program; the other part thinks I can't be trusted." Listen, and Laugh Out Loud. If for some reason you can't see the viewer below, click here to view the video. All Jobrani quotes taken from Time Out Chicago/Issue 207 : Feb 12–18, 2009, written by Christina Couch.